The Economic Community of West African States’ (ECOWAS) plan to work towards a single currency is long overdue, but a move in the right direction. Having a single currency for West Africa is a necessity for our region’s economic vitality, in this age of hyper Nationalism. Ideally, African leaders should strive for a single continental currency, but that is a pipe-dream, on my part. Nothing close to that will come to fruition during my lifetime! However, the regional groups like ECOWAS or Southern African Development Community (SADC) should take the initiative and adopt a single currency, for a start. The economic benefits of a monetary union are countless. The elimination of costs of exchanging currencies will be a tremendous savings to businesses and individuals. Look at the exchange rate as the value foreigners place on a unit of your currency. In reality, in conjunction with the “supply & demand” of goods & services, it is the value foreigners place on a country, considering the economic, social, and political climate. For Gambians, the exchange rate determines how much we receive in foreign currency when we sell a product or render a service to the outside world; in reverse, it determines how many dalasis we spend when we purchase foreign goods and services. A stable exchange rate stabilises inflation and the price of goods and services. In 1987, one Nigerian Naira exchanged for 1:35 US dollars; today one US dollar exchanges for about 357 Nairas. 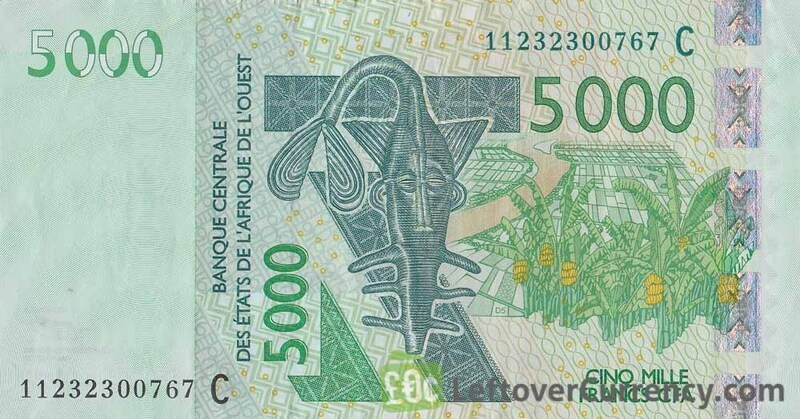 In the early 1980s, one US dollar exchanged for about two Gambian dalasis. Today, one US dollar exchanges for about 50 Gambian dalasis. One can clearly see the tremendous erosion of wealth in Nigeria and Gambia, over the course of three decades. A single ECOWAS currency will smooth out the currency exchange rate fluctuations. The ECOWAS block, just like the European Union (EU), will be able to negotiate for better trade deals, with a single currency, rather than as individual countries. More markets will be opened to ECOWAS produce and natural resources. The increase in trade within ECOWAS, and with the rest of the world, will translate into a better and stable exchange rate. When as a group–you can offer cocoa from Ivory Coast, oil from Nigeria, rice from Liberia, groundnuts from Gambia, and several other products—that is a strong starting point of bargaining for a good price for your products. The criterion for securing a good trade deal is to start from a position of strength: the ability to offer—in large quantities–various valuable products and services. Economists call it “Economy of Scale”; simply put, the more of a product you produce, the lower the unit cost of the product. That is why Brexit in Britain does not make any economic sense. Anyway, we all know that Brexit is not about economics; it is about Immigration, in a nutshell. Further, West Africa is blessed with a long Atlantic Ocean coastline, navigable rivers, (Niger, Volta, and Gambia), desert, grassland, and forest regions; as such, it is endowed with natural resources, a variety of crops, which can be traded within and beyond its borders. I mentioned this in a previous posting: selling goods/services to the outside world is one sure-way of improving an exchange rate and standard of living. The breaking down of trade barriers at the borders will be an additional boon to trade. As a result, cashews grown in Guinea Bissau can be sold in markets in Nigeria, and Senegalese dried fish can be sold in markets in Burkina Faso, where they are in short supply. The costs savings of Customs duties will be passed on to the consumers, through lower priced goods. As an example, bananas and oranges are not grown in the Seattle region of United States, but there is no shortage of them in the supermarkets. These fruits are grown and transported from California and Florida. Due to the good infrastructure and road network, delivering these fruits across the country is cost efficient–which underscores the importance of building infrastructure in our country and beyond–for Africa to realise its full economic potential. Likewise, there is no shortage of apples in supermarkets in New York, which are grown in the Seattle region, about 2,500 miles away. Having the dollar as the single currency and no customs duties at the state borders enhances trade. The commerce between these states gave birth to the Transportation Industry, which employs thousands of truck drivers. In addition to the truck drivers, thousands of jobs are created from the spin-off industries of dealerships, the repair and spare parts, too. This is how you reduce unemployment and grow an economy. Going back in time, we can learn from the success of Mansa Musa and the Mali Empire. In earlier postings, I mentioned that Mansa Musa and Alexander the Great of Greece (aka: Julkarinen in Arabic) are the richest humans to have ever lived and walked on planet earth. Mansa Musa’s wealth came from the gold and salt trade due to the Mali Empire’s strategic location between the gold producing south and the salt producing north. Luckily, Mali Empire didn’t have to deal with exchange rate costs; it was the age of “barter”. Further, it benefited from the lack of trade barriers within it. Remember, the empire encompassed about a third of modern day West Africa. Flushed with gold, the empire built world class universities in Timbucktu and Jenne. These universities were the equivalent of their contemporaries of Bologna and Petra in Italy, Oxford and Cambridge in England, or the University of Paris (Sorbonne), the early universities in Europe. In modern times, we can also learn a lot from the Chinese. What China achieved—economically–is nothing short of miraculous, in pulling over 300 million of her citizens out of poverty.. When Den Xiaoping, Hu Yaobang, and Zhao Ziyang adopted Market reforms in the 1980s, China was a poor, backward, Third World country. Since adopting Market Reforms, the Chinese economy has grown 40X, becoming number two on the World GDP Index, leap-frogging dozens of countries. It is the most successful economic miracle–in Human history. China’s single currency and political entity enabled Den Xiaoping and his associates to carry out a successful economic reform. West Africa does not have any of these attributes; therefore, we should emulate the European Union (EU) style: a single currency, no tariffs and customs duties, by independent nations. Spanish and Portuguese vegetables and fruits are sold in German and Dutch supermarkets. On the other hand, Bayer pharmaceutical products from Germany, or Swedish Volvos are sold in Greece and Malta, with minimum border restrictions or customs duties. The increase in trade reduces unemployment within the EU. Free trade is not a zero-sum-game; it is a win-win-situation for its participants. Unimpeded movement of people, goods, and services are the best avenues to prosperity and a higher standard of living. The preoccupation of the ECOWAS leaders should be the adoption of a single currency, followed by the elimination of customs duties, which will culminate in an increase in trade between member countries, with the outside world, and ultimately creation of jobs. The advantages of a single currency far outweigh the disadvantages. However, being endowed with natural resources, long Atlantic Ocean coastline, grassland, and abundant rainfall in the forest regions will amount to “Naught”–if corruption is not curtailed. Nigeria, Sierra Leone, Liberia, or The Democratic Republic of Congo are prime examples.